Most of us spend many hours on the web, browsing websites and prominently ignoring the looks of our web browser, which is fine since they usually don’t effect changes in our browsing behavior, in contrast to extensions and addons. However, much like changing your wallpaper 10 Sugar-Rich Wallpapers That Will Make You Want to Eat Your Monitor (And a Bonus!) 10 Sugar-Rich Wallpapers That Will Make You Want to Eat Your Monitor (And a Bonus!) This week I'm in a sweet-tooth kind of mood. I started out by hunting images of ice cream (the perfect summer candy), but then realized how beautiful all candy is, from colored gum to cakes... Read More , dressing up your browser might just brighten your day and even revive your attachment to your favorite browser or computer. To meet these two goals, we have tried to bring you many 10 Snowboarding Wallpapers That Are Cool In More Ways Than One 10 Snowboarding Wallpapers That Are Cool In More Ways Than One I can think of few sports that are as dramatic and acrobatic as snowboarding. I know it's a winter sport and this is summertime (at least for most of us) – but really, what summer... Read More different These Awesome Animal Wallpapers Will Make Your Desktop And Phone More Adorable Than Ever These Awesome Animal Wallpapers Will Make Your Desktop And Phone More Adorable Than Ever Kittens, puppies, bunnies, and monkeys, oh my! Amidst how-to posts, serious updates and cutting-edge websites, maybe what your desktop needs is some extra cuteness. Then again, if incredibly cute wallpapers aren't up your alley, perhaps... Read More roundups 9 Beautiful Water-Themed Wallpapers To Cool You Off On a Hot Spring Day 9 Beautiful Water-Themed Wallpapers To Cool You Off On a Hot Spring Day Spring has sprung, and for some of us, it feels more like summer. As I sat sweating in front of my computer, I decided it might be time for some cool inspiration – and I... Read More of wallpapers, even a theme collection The 10 Coolest Google Chrome Themes The 10 Coolest Google Chrome Themes The big three - as far as browsers are concerned - have been making headlines as of late. Microsoft released IE9, which was downloaded nearly 2.5 million times in the first 24 hours of being... Read More . 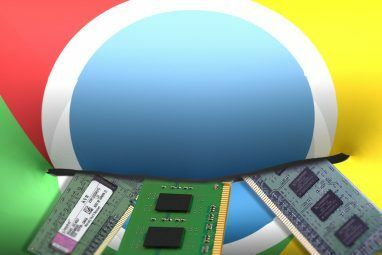 Here is another set of beautiful themes that also might just break the monotony of your daily browsing session in Google Chrome. I don’t know about you but space images always take possession of my eyes for a few seconds when I see them for the first time as they’re difficult not to admire. The New Tab background image in this theme is no exception with its indigo planet and its glowing rings. You might not see the image that often since it only shows up when you open a new tab, but the parts you do see often (tab and navigation bars) have an equally beautiful and slightly enigmatic blue that fades to black in the left corner. This theme features golden accents that I assume are meant to resemble wooden surfaces, while the tabs are a metallic green, which again I imagine represents vegetation. The background image from the New Tab page is quite majestic if you ask me, so this theme’s title is not misleading at all. So here is a theme with an actual photograph, which looks quite serene by the way, in the background of the New Tab page. The bits you see in the tab and navigation bars are part of that same photograph, which comes in different sizes. The full HD photograph is not included in the Lite version. Otherwise, the only other difference is the Aero support. As you can see in my screenshot, my browser is wearing the non-Aero one since I’m using Ubuntu as my OS. Is it too early to put on autumn-related themes? This writer, who prefers wintery wallpapers all year long, wholeheartedly says no. So here is an illustrated theme that comes with an artistic background image for the New Tab page, also in different sizes as you might have noticed with the sizes in the section header. This theme paints the tab and navigation bars in different colors, including orange, baby blue, indigo, etc. which make quite a dramatic set of colors. A couple of years ago, we published an article on designing your own theme. The aforementioned post involved downloading the Chrome CRX Theme Creator, assigning colors to elements, packaging and uploading the theme. Definitely check out the article if you want to play around or have an idea for a theme. 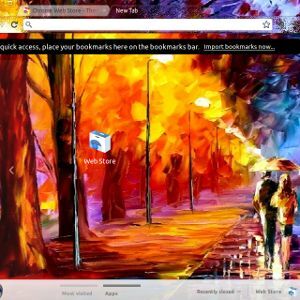 There is also Chrome The Maker, which is a user-friendly website that also allows you to create and customize Chrome themes. 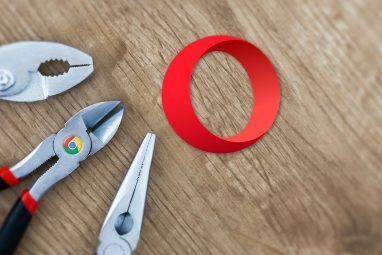 What themes do you prefer on your Chrome 7 Awesome Google Chrome Promo Videos 7 Awesome Google Chrome Promo Videos Google Chrome has come from nowhere to be the third most-popular web browser in the world. It's rapidly catching up to Firefox, which is currently sitting in second place behind the omnipresent Internet Explorer from... Read More browser? Let us know of your gorgeous selections in the comments section below. On the hot hot day, I am loving the Autumn theme! Actually Google Chrome theme make my netbook slow so i did not use theme ..
Raindrops, Space planet and beautiful landscapes are nice. Might get the Raindrops theme. My Android's theme is something similar to it. I want to like Firefox better, but I just can't seem to make the transition. Chrome just works too well and looks too good while doing it. I think I am just too set in my ways. 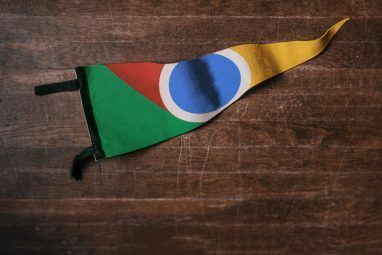 I tried Chrome a couple of times but just cant get the customizing as I want it. With Firefox I it have exactly as I want it down to silly little things like tab width, customized menubar, fonts etc. My wife will only use Chrome but that's what makes us individuals. The biggest thing for me is Chrome's omnibar. I hate having to hit tab every time I want to search. Sure there are extensions which replicate the omnibar, but none of them work as well. Space Planet, for sure I'll get it. Tried the 3rd one! looks awesome! thanks, I'm into the first one. The first and third are amazing! Thanks for this. "Designing Your Own Theme" - that's the fifth!